We all deserve a little something extra in life, and with Elite Mobile Casino we get the opportunity to enjoy the high life in style, which is why Mobile Bingo Bonuses are big fans of this site. Especially as it’s dedicated to giving you the finest gaming experience for your mobile, giving you quality gaming on the go. Elite Mobile Casino believe that everyone has the right to play and win money from cash games on their mobile, and as such ensure you get the best quality gaming experience. • Lots and lots of slot and casino games. 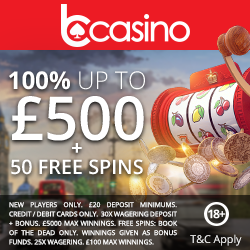 As with many of the sites when you register they will give you £5 bonus which will be credited to your account and give you the chance to try out the site and their mobile casino and slot games. As with many other sites Elite Mobile casino also offer a refer a friend scheme. We know that once you have played on the site you’ll want to tell your loved ones and friends all about it so why not take advantage and earn a little extra for yourself? For every referral you make you could receive £20, all your friend has to do is register and deposit..simple as that! Even better is the fact that there is no limit on the number of friends you can refer, so this bonus is unlimited!! Knights Jackpot – Reveal 5 maidens on active paylines to unlock the unlimited progressive jackpot in this mobile slots game. 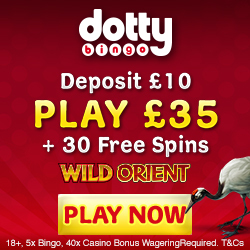 Way of the Slot – is a 50 line, 5 reel Chinese themed slot game, with a minimum bet of 1p a line and maximum of £50 per spin. The no deposit games feature is awarded when 3 or more Scattered Maneki Cat symbols appear. Way of the Slot Slots has been upgraded to HD. War Zone – is a 5 line, 5 reel combat themed slot machine game that pays out up to £6000. The maximum single win is £3,000 hitting 5 soldiers on max coin in the base game or £6,000 in the bonus game. You will also receive 10 spins on 10 scattered helicopter symbols. War Zone Slots has been upgraded to HD. All you need to do now is register on Elite Mobile Casino, then you can play when and wherever on your phone.